Provides an overview of the BIRT 3.7 components, focusing on a few key capabilities of the BIRT Designer, BIRT Runtime APIs, and BIRT Web Viewer. Eclipse Business Intelligence and Reporting Tools (BIRT) is an open source, Eclipse-based reporting system that integrates with your Java/J2EE application to produce compelling reports. BIRT is the only top-level Eclipse project focused on business intelligence.This Refcard provides an overview of the BIRT components focusing on a few key capabilities of the BIRT Designer, BIRT Runtime APIs, and BIRT Web Viewer. 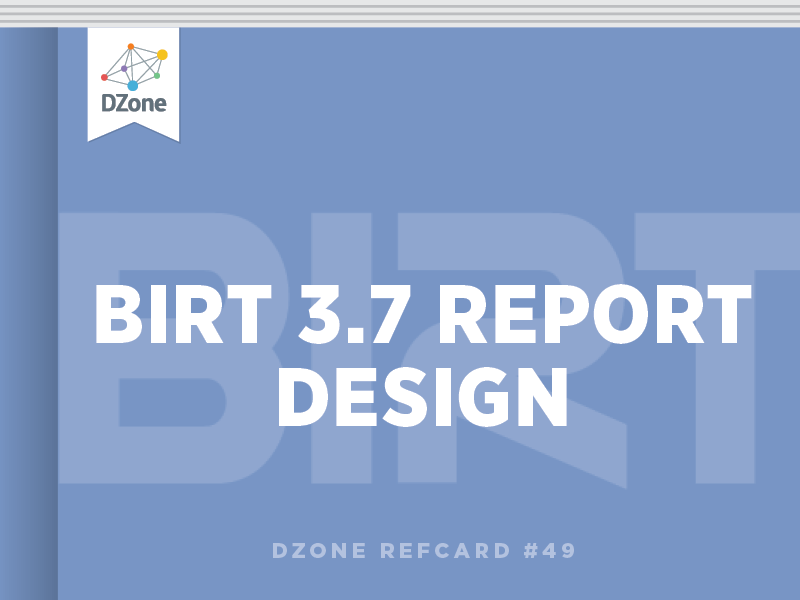 This Refcard should be interesting to report designers as well as developers or architects involved in integrating BIRT reports into applications.